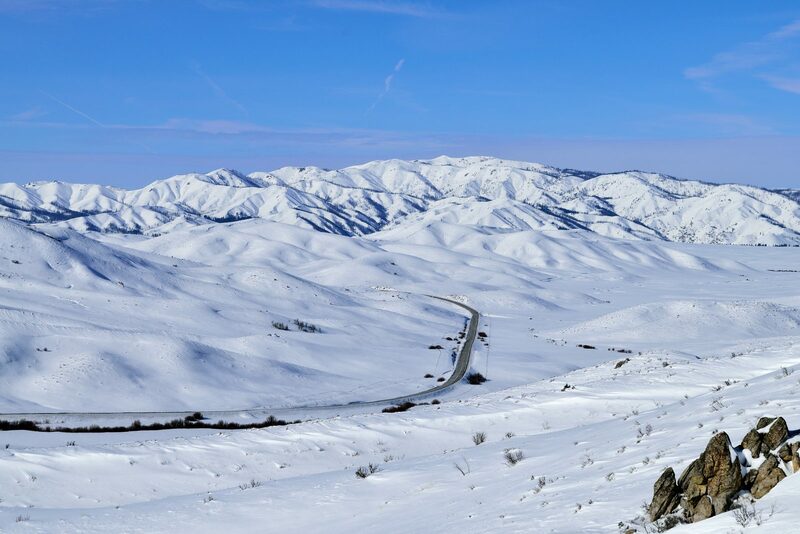 Highway 20 runs through the snow covered landscape of central Idaho just outside Mountain Home on a beautiful picture perfect afternoon. Sometimes we need to stop and look back. Sometimes the road that takes us to our destination might be as stunning as the place were heading.